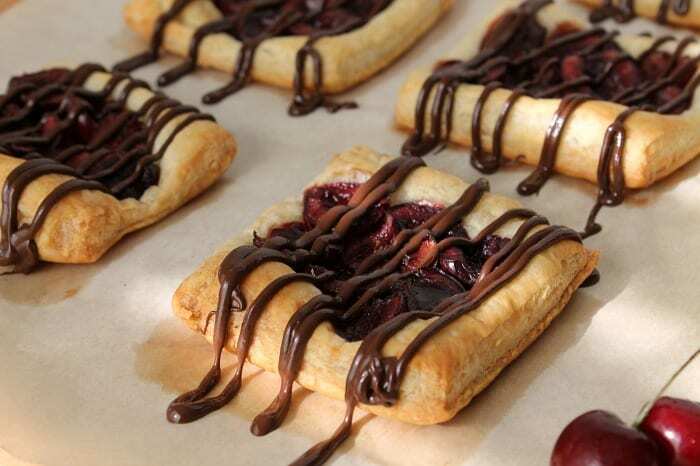 Chocolate Cherry Tarts using fresh cherries, puff pastry and chocolate. 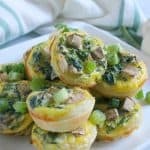 Quick to prepare and baked in 15 minutes! Happy Monday everyone! 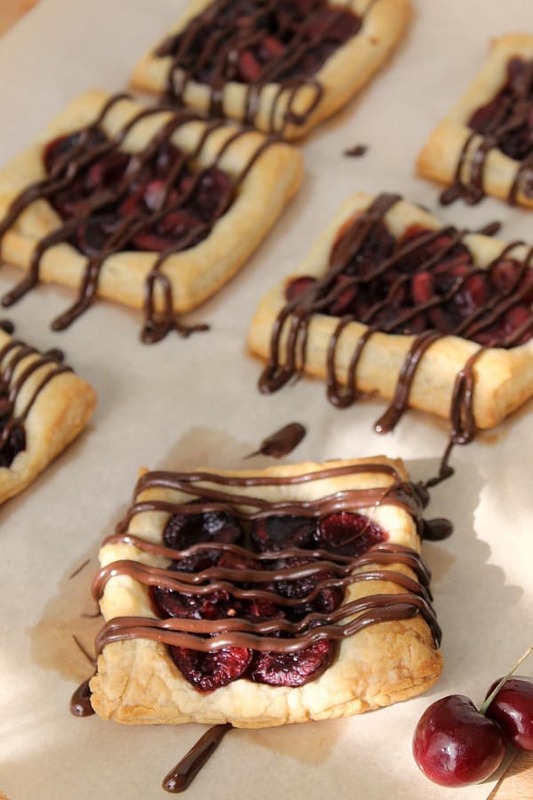 I am popping in here quickly today sharing with you these Chocolate Cherry Tarts. I made them about a month and a half ago for Joan at Chocolate, Chocolate and More. If you do not know her site, I would highly recommend checking it out. It is about all things chocolate with so many great recipes! I had a chance to meet Joan when I was in Florida in July! She is such an awesome lady and the guru of Facebook! Seriously I have learned so much from her and am very honored to call her a friend! 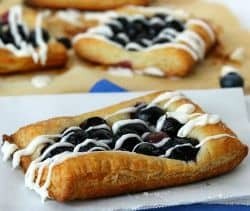 These pastries are another of a long line of quick desserts that I have been making lately. Between us moving over the summer and trying to get settled into a new environment I have been all about keeping things simple and easy. But simple and easy doesn’t have to mean you lose quality. It just means you get to produce a fabulous dessert and not stress to much about it! 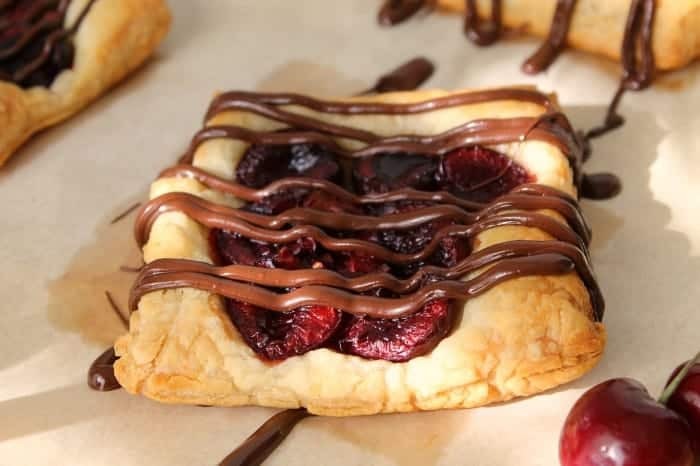 With this particular pastry I just topped them with fresh cherries and drizzled with chocolate! It doesn’t get much easier than that! Remember you need to pit your cherries before you begin. No one likes a dessert that has cherry pits in them! ENJOY! Place 8 cherry halfs on each tart. 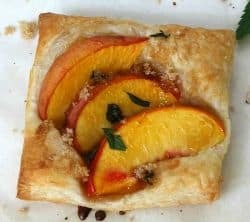 I could go for a few of these tarts right now! They look SO good! 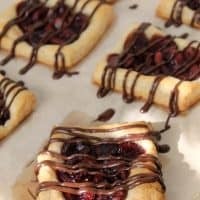 Love the chocolate and cherry combo! Nancy, you are such a doll! 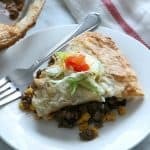 Thank you for sharing my recipe, and for your sweet words. So glad to know you lady! I meant every word! And I hope it keeps on giving for you! 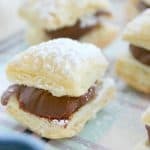 These are the perfect little tarts! 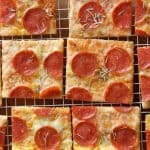 So simple, and what great flavors!